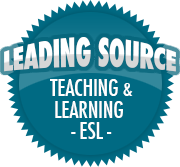 Breaking the Student-Teacher Conflict Cycle | So, You Think You Can Teach ESL? This article has some excellent tips for resolving student-teacher conflict. Teaching is stressful and there are always those few unruly students who seem to constantly be disruptive. Read it and give these tips a try!